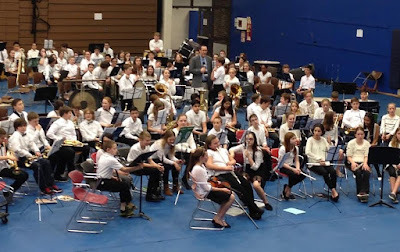 Today our 5th-8th grade students joined other schools from across the Diocese of Grand Rapids for Bandtastic rehearsal. 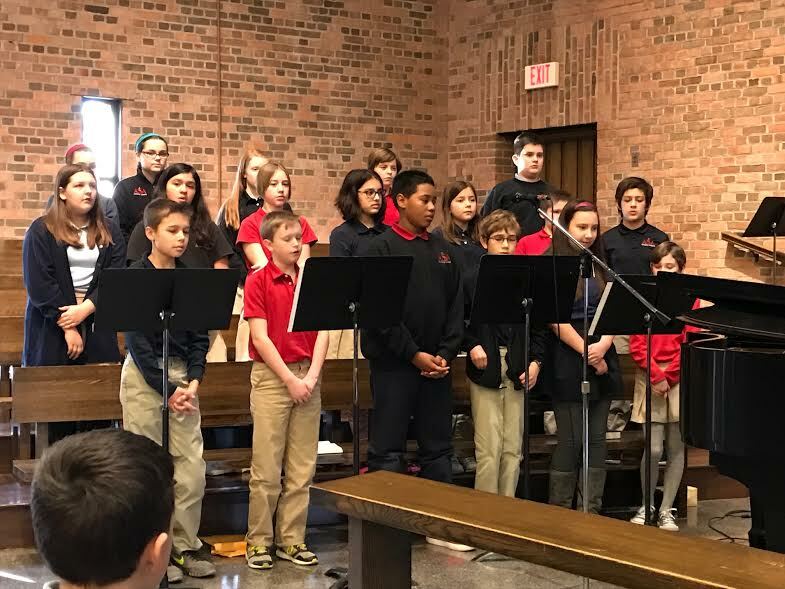 Not only is this a unique opportunity for our students to practice with numerous other musicians from other local Catholic schools, it’s also a great way for our students to show off just a little. Our band program is pretty unique in the diocese. It adds to a well-rounded education received here where our mission focuses on the spiritual, intellectual, moral, social, and physical development of our children. Participating in the band also provides leadership opportunities and a chance to develop life-long skills used beyond ASA. "The band at ASA was a really great experience for me. I had fun in normal class time, and even more fun after school in the jazz band. Band at ASA inspired me to do band at CC. Our students frequently play the National Anthem for our local sports teams. Students will be making birthday cards for foster care kids. 2nd/3rd grade: March 23 at 1:40 p.m.
Students are making posters to remind them of their Lenten promises to be displayed in a prominent places around school. Oh what fun we have… The youngest eagles are a busy group of kiddos. We love to learn and play, but most importantly, we love to have FUN!! The toddlers and preschoolers are always doing something exciting. We try new things, perfect skills, and celebrate just being a kid. We learn about cool things too! 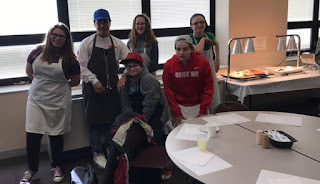 Mrs. K’s classes recently explored the 5 senses. How many senses do you use when making popcorn? Many of the rooms were celebrating Dr. Seuss. Mrs. Blalock’s room all created hats that looked different than Dr. Suess. Who wouldn’t want a tall hat with rainbows and hearts on it? Mrs. R’s room graphed their predictions for the March weather. Was it going to come “in like a lion” or “go out like a lamb”? “In like a lion” won in their room. The toddlers continue to explore in their sensory tables. They love playing with sand, rice, water, and play dough. Right now we are celebrating March is reading month. We are all having a ball reading and filling in our paper balls for the wall display. Drop everything and read was fun, but the highlight so far has been pajama day. Who doesn’t like to come to school in their cozy pjs? 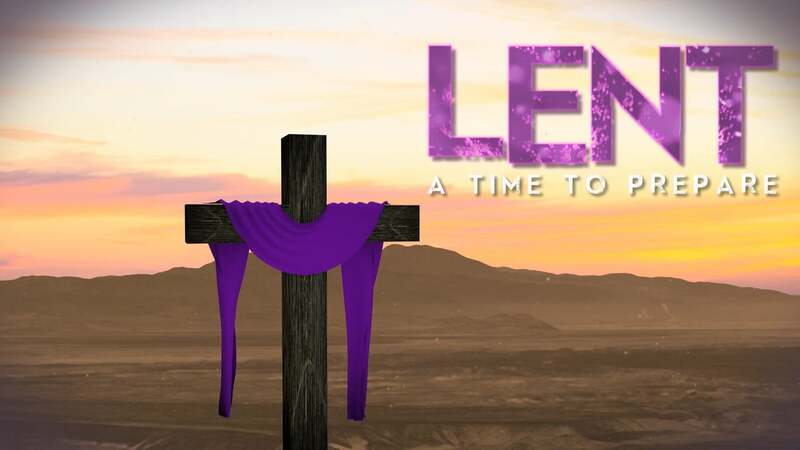 Finally, we are experiencing Lent. Fr. Tom Page came to our classrooms and gave all of the kiddos ashes on Ash Wednesday. Some kids even decided to sacrifice during Lent by giving something up. In the Atrium, we changed our liturgical colors to purple and are preparing for the great celebration of Easter. We read the parable of the Good Shepherd. Mrs. R’s room created shamrocks with the Father, Son, and Holy Spirit. They also learned a new song all about lent. Boy, we sure do we have “a lot of fun” at ASA! Liturgical Music is such an amazing aspect of All Saints Academy! Meeting with students preschool through grade eight to practice music for Mass encourages great musical participation at our school's weekly liturgies. From their earliest years in our building, students grow in their appreciation of song and worship! I love to share with my musician friends how well the students lead at our liturgies. It is a part of who they are as a student congregation. They lead through vocals and instrumentation. 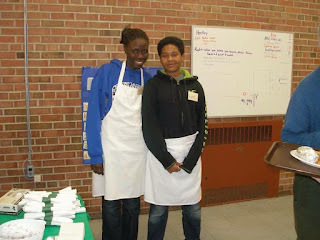 These students are strong and vibrant singers through eighth grade. Our students sing a wide variety of liturgical music. 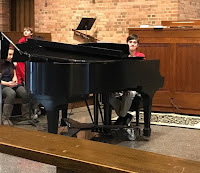 They love the traditional Lenten music of the "Agnus Dei", "Kyrie" and "Lord let me walk" as well as the most contemporary Catholic music - such as "Rock of Faith", "Soul on Fire" and "Yes, Lord!" The teachers absolutely love listening to rehearsals on Thursdays! The joyful music fills our hallways and provides a burst of joy and sunshine in our routine! Our Praise Band is made up of our 7th and 8th grade volunteer musicians. This year our Praise Band is comprised of flutes, trumpets, guitar, keyboard, ukulele, violin, and drums. (Our younger students occasionally join in with tone chimes and other percussive instruments). Recently we have had alumni come forward to join at our special liturgies. Our ASA students came forward to sing a couple songs at the funeral of Jon Fournier, We had many high school students come forward to join our current students. It was so moving to see the connection they still carry with ASA. I had several of our alumni musicians join us for our Catholic Schools week - Pack the Pews - at St Alphonsus. I didn't even ask them to particpate - they contacted me!! 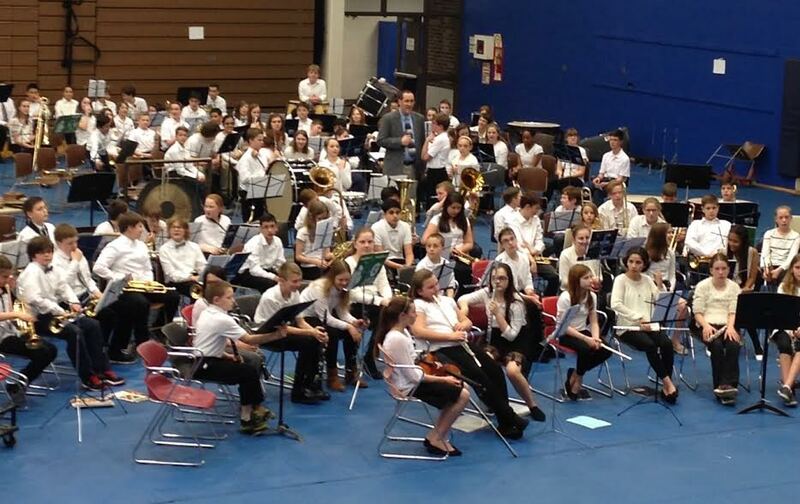 These students continue to serve our parishes with their musical talents, which were nurtured at All Saints Academy. 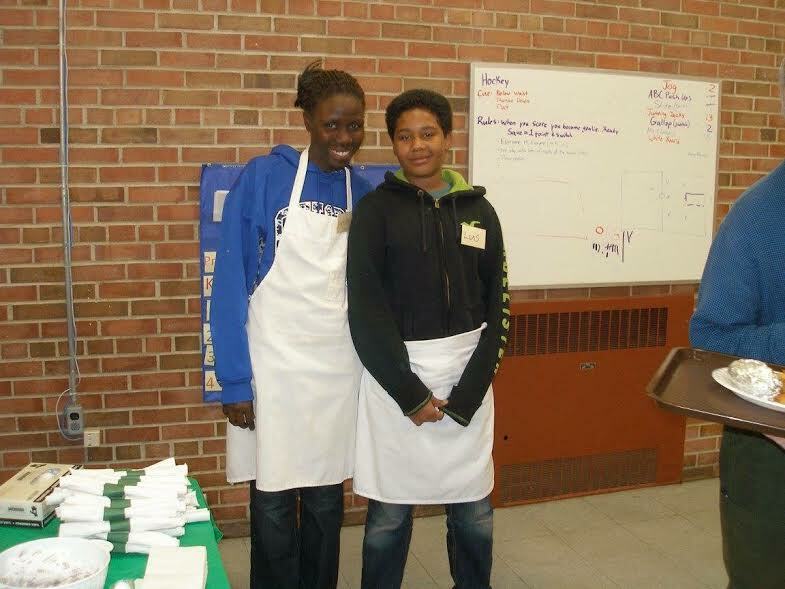 We are truly blessed as a community with the talents and energy of all our students at ASA! 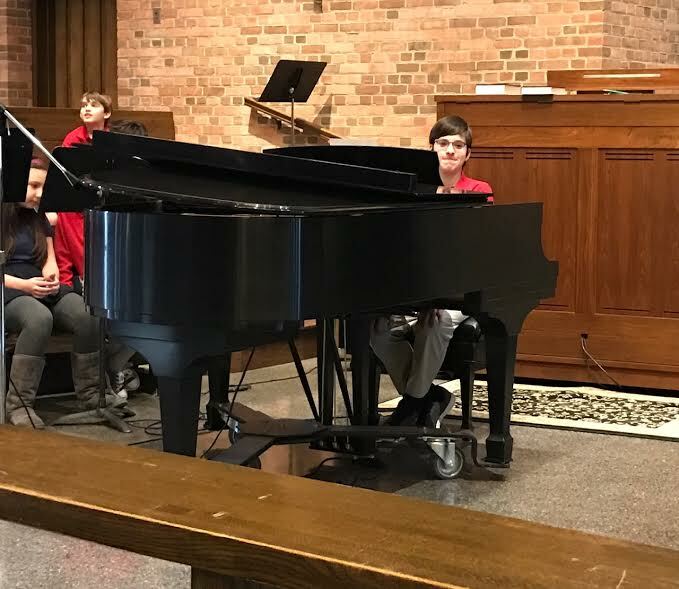 Our students are so comfortable using their musical talents to serve our community that we have had middle school students recently begin volunteering to cantor and also lead by playing the piano at Mass! Many of the parents and other community members, who join us for school Masses, comment on how well our students know the songs we use for our liturgies and the passionate ways they participate when some of our ASA favorites are used for worship! This Artwork was created for you, the ASA community, by the students of ASA! Because we believe at All Saints Academy that we are one we spent time working to create an art project to link our 4 parishes and 2 school campuses during Catholic Schools Week 2017. Each student, preschool-8th grade, got the opportunity to color a cross. Those crosses were assembled into the 6 larger crosses, pictured above. You may know that this year will mark the 8th grade graduation of ASA’s first kindergarten class. As we mark this special occasion with this special class and begin looking to our school’s 10 year birthday celebration next school year, we want to thank you for the commitment you have made and continue to make to Catholic Education, and especially to our school! All Saints Academy is a unique school with a unique and special community! We are one community made of so many parts. Our 300 students and their families, our 2 campus and staff, and our 4 founding parishes come together with so many diverse talents and gifts to make ONE very special school. Each cross created by one of our students symbolizes all of those unique individual stories coming together. Each larger cross symbolizes those various community stories coming together to build ASA. As a set, all 6 of the crosses tell the story of our ASA community. The 2 smaller crosses will be put up on display in the hallways of our school 2 campuses. It is our hope that place can be found somewhere at St Alphonsus, Blessed Sacrament, St Isidore, and St Jude to display the other 4 crosses. We are so blessed to have each parish as a part of our ASA community! We are one!